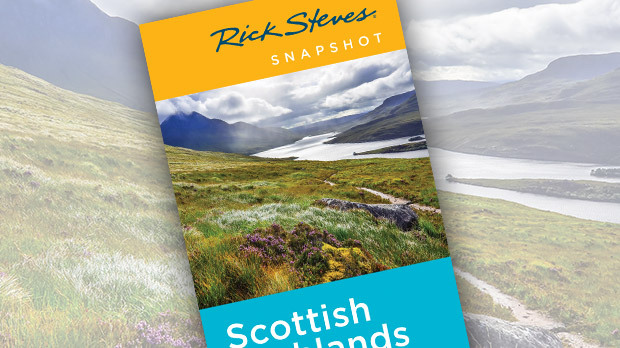 Along the northeast coast of Scotland lay a smattering of some of Europe's most intriguing islands — mountainous, uninhabited, scenic, romantic, and indelibly Scottish. On these remote outposts of Scottish life, mist drifts across craggy hillsides, grizzled islanders man the drizzly ferry crossings, and midges make life miserable (bring bug spray). Here you'll find Scottish culture distilled to its most vivid and traditional. One of my Scottish friends compares the Hebrides Islands off Scotland's west coast to malt whiskys — they're all made of the same ingredients but each has its own captivating character. 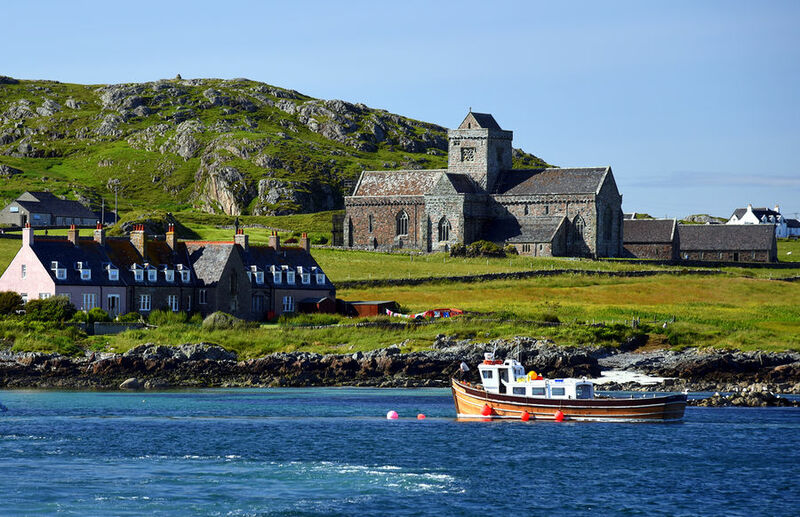 The most accessible are the Inner Hebrides: Mull, Iona, Staffa, and Skye — all easily reached by a day trip from the low-key port town of Oban. The Isle of Mull is Scotland's third-largest, with 300 scenic miles of coastline. With steep, fog-covered hillsides topped by cairns (piles of stones, sometimes indicating graves) and ancient stone circles, it has a gloomy, otherworldly feel right out of "Game of Thrones." Bring plenty of rain protection — as my bus driver said, Mull is a place of cold, wet, windy winters and mild, wet, windy summers. 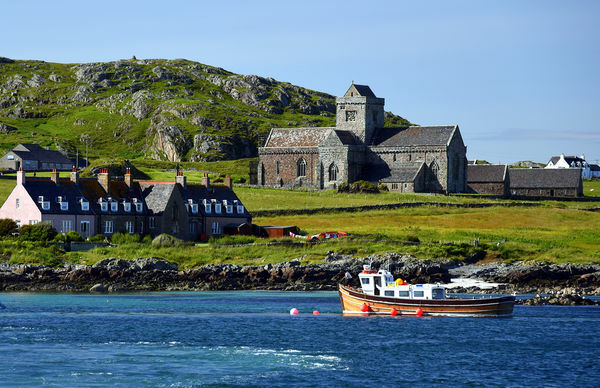 Just off Mull is the tiny island of Iona, famous as the birthplace of Christianity in Scotland. Though it's just three miles by 1.5 miles, it was a center of art and learning back when most of Europe was rutting in the Dark Age mud. While the present abbey, nunnery, and graveyard go back to the 13th century, much of what you'll see here was rebuilt in the 19th century. But with sparkling-white crescents of sand and huge rocks that double as lookouts to the sea, it's a place perfect for meditation. The island's only real village, Baile Mòr, has shops, a restaurant/pub, a few accommodations, a tiny heritage center — and no bank. Those more interested in nature than history will enjoy trips to the wildly scenic Isle of Staffa, with the famous basalt columns of Fingal's Cave — and, in summer, a colony of puffins. Completely uninhabited (except for seabirds), Staffa is a knob of rock draped with a vibrant green carpet of turf. Remote and quiet, it feels like a Hebrides nature preserve. Nearby Oban, on the mainland, is a smart place to spend the night. What it lacks in must-see sights it makes up for in visitor-friendly appeal, with a winding promenade lined with gravel beaches, ice-cream stands, good eateries, and a famous whisky distillery. Wind, boats, gulls, and the promise of a wide-open Atlantic beyond give Oban a rugged charm. Farther north, the Isle of Skye is the largest of the Inner Hebrides, but has only about 13,000 residents, roughly a quarter of whom live in the main village, Portree. Skye, with a name that comes from the Old Norse for "the Misty Isle," has some of Scotland's best scenery: a coastline ruffled with peninsulas, sea lochs (inlets) reflecting rocky peaks, and rolling fields scattered with stony homes. 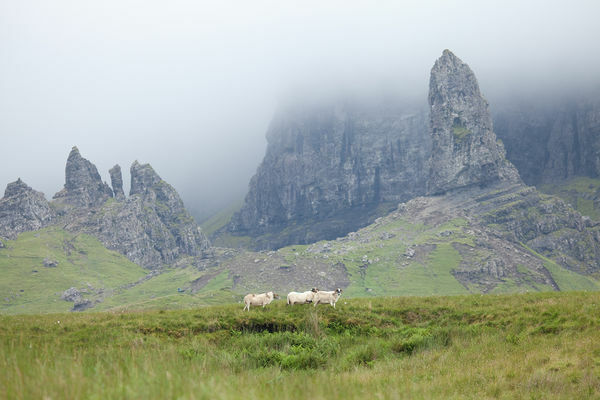 You can hike windswept slopes, visit a lonely lighthouse, sample whisky in a hillside distillery, take a scenically winding drive, and learn about the sordid clan history of Skye — where the MacLeods, MacDonalds, Mackenzies, and Macraes tussled for centuries. While it takes some effort to reach the Orkney Islands off the north coast of Scotland, it's worth the trouble. The Orkneys are alluring to adventurous visitors seeking a contrast to the rest of Scotland — with no real tradition for clans, tartans, or bagpipes, these islands feel more Norwegian than Highlander. For the sightseer, Orkney has two draws unmatched in Scotland: some of the finest prehistoric sites in northern Europe, and the harbor called Scapa Flow with fascinating remnants of the German fleet scuttled here in the aftermath of World War I. Orkney's landscape has a wind-scrubbed, pastoral appeal: dramatic sea cliffs ring a mostly flat, bald island, with few trees and lots of tidy farms with gently mooing cows. As my friend puts it, in Scotland "the farther north and west you go, the more spectacular it becomes."